Always have a treat on hand with this generous 6" high nylon pouch that clips on to your belt or pocket. Drawstring closure keeps the treats inside, no matter how much you run and play. Nylon fabric is easy-to-clean and stays looking new. 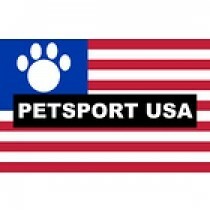 Manufactured by Petsport USA.